The District of Columbia has more residents holding a bachelor's degree than any other state. The likelihood of somebody holding a bachelor's degree can vary across the country. A study conducted by the United States Census Bureau established the most educated states in the United States. During the study, researchers collected information from millions of respondents from all over the country regardless of residency status through written questionnaires, phone interviews, and home visits. When analyzing the information, the researchers established the percentage of persons in a state over the age of 25 who had a bachelor’s degree and using the percentages, were able to establish the most educated states in the country. The District of Columbia was selected as the most educated place in the United States. Residents over 25 years of age having a bachelor’s degree measures at 54.60%. This high percentage is a testament to the efficient education system in the district. According to the Carnegie Classification of Institutions of Higher Education, the District of Columbia has 20 institutions of higher learning where only three are public, and 16 are privately-run institutions. The history of university education in the state goes back to the late 18th century with the establishment of Georgetown University in 1789. There are three medical schools in District of Columbia which are the Howard University College of Medicine, the George Washington University School of Medicine, and the Georgetown University School of Medicine. The largest university in the state, George Washington University, was founded in 1821. Massachusetts was ranked at second place in the list of most educated states in the US. 40.5% of Massachusetts’ population above the age of 25 years was in possession of a bachelor’s degree, the second highest percentage in the country. The high number university graduates are a result of the effective education system in the state. Carnegie Classification of Institutions of Higher Education puts the total number of post-secondary schools in Massachusetts at 121. The post-secondary education system stands on a firm foundation and has a history that stretches back to the mid-17th century after the opening of the state’s oldest institution of higher learning, Harvard University in 1636. Harvard University and the Massachusetts Institute of Technology are on many occasions termed as among the best universities in the world with many prominent persons who have shaped US history being alumni of the two institutions. 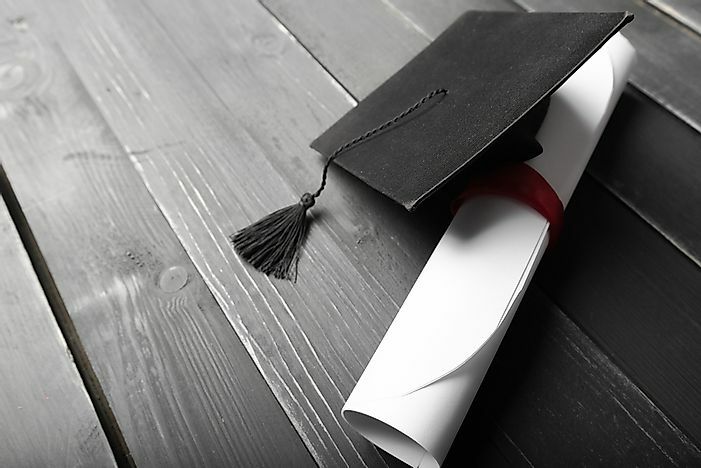 Data from the research showed that 38.10% of Colorado’s population over the age of 25 years had a bachelor’s degree making Colorado the third most educated state in the US. The post-secondary education in the state is one of the most progressive in the country with Colorado being home to some of the largest universities in the United States. The history of Colorado’s post-secondary education has its origin in the 19th century. The oldest institution of higher learning is the University of Denver which was established in 1864. The University of Colorado is one of the largest universities in the state and has set up numerous campuses across Colorado. Records from the National Student Clearinghouse show that the enrollment rate in colleges across the country has consistently declined in the past five consecutive years and this decline is projected to persist. The period 2010-2011 saw the decline reach its peak when there was an enrollment loss of 2.5 million.